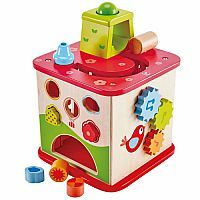 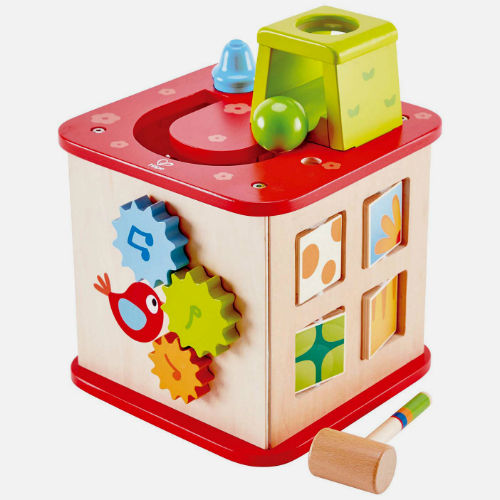 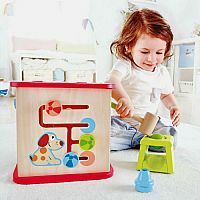 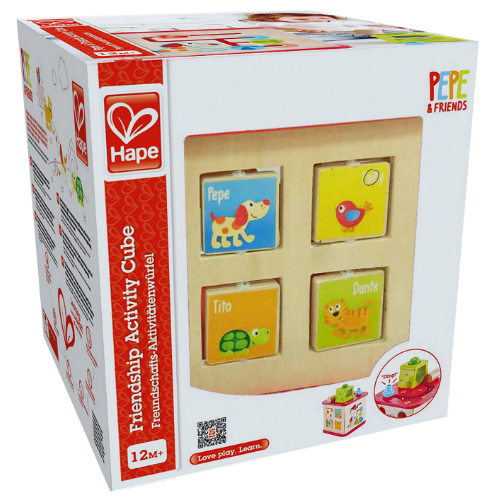 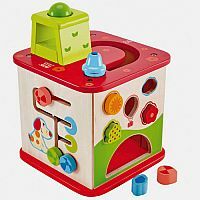 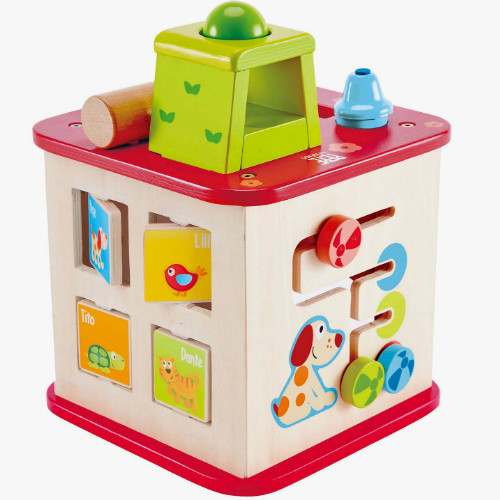 The Hape Wooden Friendship Activity Cube features five different play surfaces, ranging from a ball maze to shape puzzle, gear explorations. 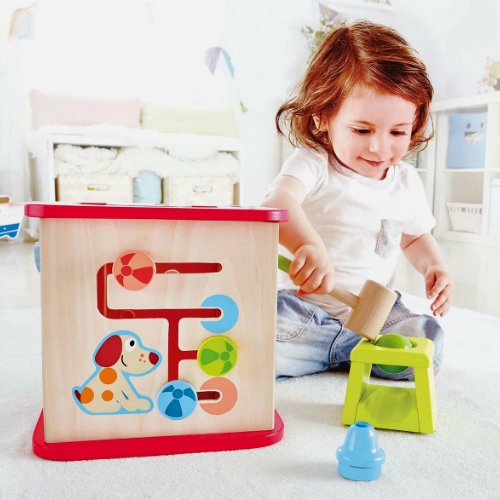 colorful mazes and more. 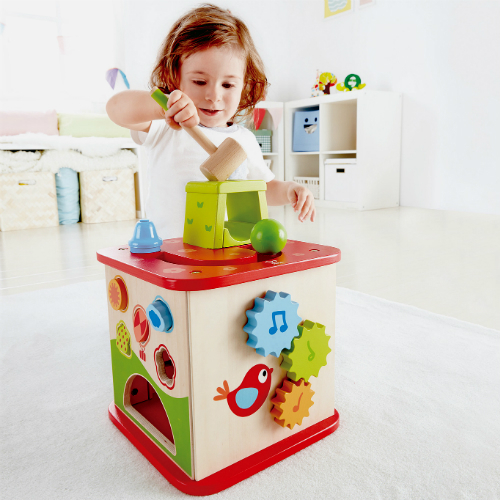 There is so much to do to keep your toddler busy and thinking for a long time. Measures approximately: 10.25 x 11.25 x 10.25 inches..